Fathers are among the most important men in our lives. 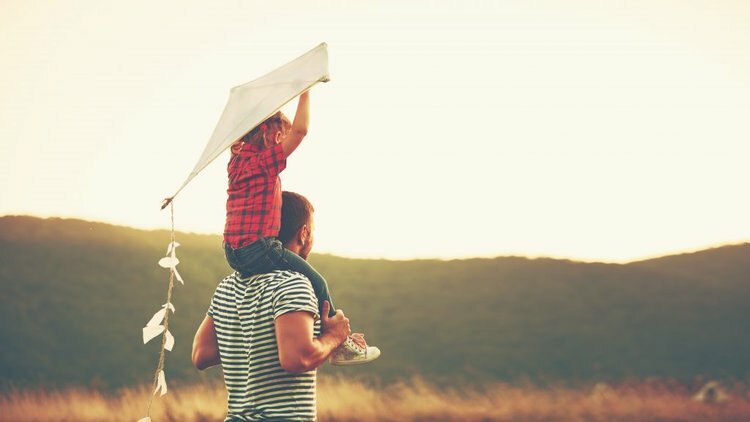 Regardless of what your youth was like -whether you were close with your dad, or not - your relationship with him has an effect on your love life. ‘Oh, but it’s fine, dad,’ I heard myself say airily, ‘Let me know if you change your mind, so I can make sure one of us will pick you up.’ After ending the phone call, tears were gathering in my eyes. He probably wouldn’t come to my son's fourth birthday. Would I ever learn not to have any expectations? Could it be that the relationship women have with their father influences their love life, and that the relationship with their mother influences the way they see themselves and the world? It’s a theory of mine. With men, it would be the other way around, I thought. We all have a ‘father wound’, it’s unavoidable. During our youth, our well-intentioned or not so well-intentioned dads inflicted it, knowingly or unknowingly. Perhaps your dad catered to your every whim, creating your desire to be treated like a princess by every lover, or perhaps your father was emotionally absent, teaching you that men won’t bring you all that much. Not cool. If you had a bad relationship with your father, it might feel unsafe to receive love in your relationships, because you’re scared of being disappointed. In order to ward off the pain you’re expecting, unconsciously you teach yourself not to expect anything from your partner, or you tell yourself you don’t have a desire for love. You can look for ‘safe’ relationships, unknowingly: casual affairs with men who are committed to someone else or inavailable in another way, or relationships with people who love you more than you love them. You can try too hard, because you think you have to deserve love, or pretend that you’re better than you are, because you’re afraid you’re not good enough. They’re all lousy tactics to avoid pain. In all cases, there’s a lack of trust in romantic love and a tendency to avoid it, control it or sabotage it. We block all love that comes our way. Our heart is closed off – except when we’ve fallen in love head over heels. Then the heart opens, everything seems to be possible, fantastic and perfect, until the first bump in the road appears and distrust surfaces. The old wound is torn open (See? You can’t trust love!) and we get even more disappointed. Result: a big, strong armour around your heart. I know how to write about it, but still, when my beloved is absent for a moment, I tend to airily say ‘It’s OK, no problem, I’ll do it myself’ and secretly draw conclusions. To heal my own father wound, I will have to learn how to make my needs and desires clear, and not to cancel my trust in people too quickly. My beloved will be there at the party. He already bought a present (a big yellow tow truck, if you can keep a secret), he’ll help me decorate the room and tidy up afterwards. I'm bold enough to expect that.